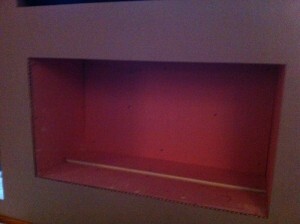 This bio fuel hole in wall fireplace was a very time intensive project. Thankfully, this charming client was one of the most patient and understanding clients we have ever worked for. The client came recommended to The Billington Partnership by one of our bio fuel suppliers. 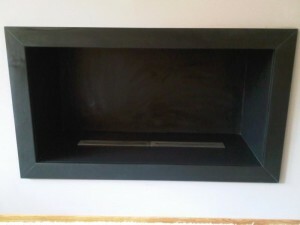 Their original desire was to have a stainless steel ‘hole in wall’ fireplace for their bio fuel burners. We have installed a couple of similar fires for customers previously, but had trouble controlling the heat coming from the burners. The heat had an adverse affect on the stainless steel which wasn’t strong enough to disperse it. Over a period of approximately 6 months, we tried to engineer a solution using the burners the client had pre-bought for their fireplace. After this time we advised the client to swap the stainless steel frame to a stone or slate version. These would have a better chance with the heat dispersement. 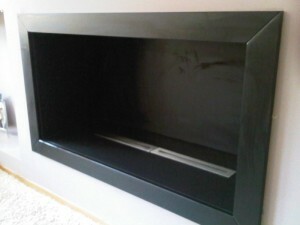 The client finally chose a honed black slate to a stunning effect. Bio fuel fires are considered by some to be safer than conventional fireplaces, as no smoke or smells are produced, but the warmth they emit is virtually the same as more traditional fireplaces. 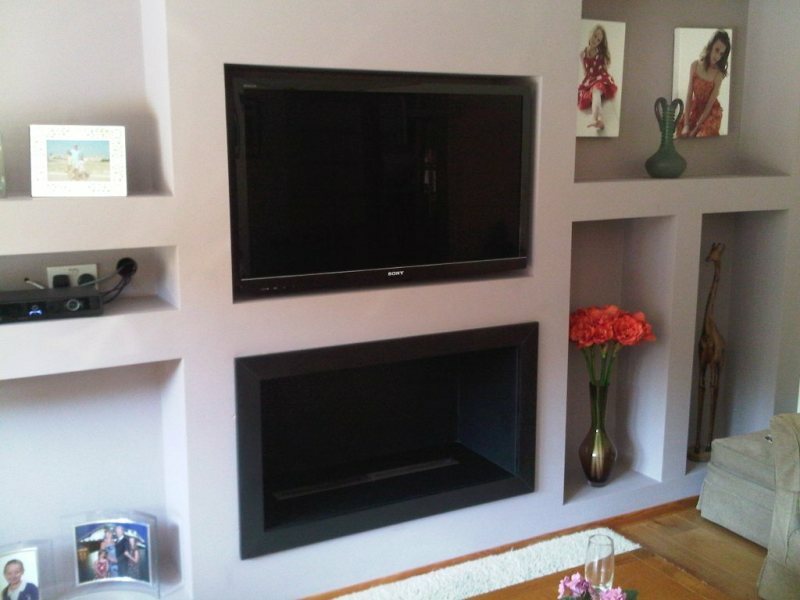 For more information on Bio Fuel Fireplaces, please contact The Billington Partnership.